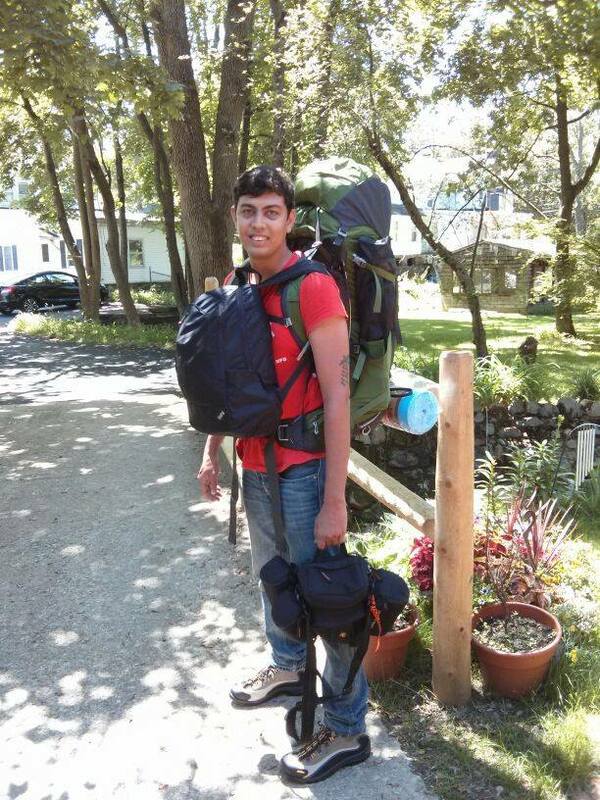 Backpacking gear can be expensive. So what does it cost to outfit a backpacker from scratch? A pretty penny, that’s what! Here’s what I bought! Keep in mind that some of this was secondhand and that this is on the higher side of things because I had the money to spare and didn’t want to carry too much as I would be traveling for a long time. Some good tips while picking gear – expensive is NOT equal to better. There is always a cheaper alternative. The trade-off is usually weight, which you need to calculate depending on your personal preference and your trip. Also remember that expensive and light might also mean delicate. If you’re buying new, ALWAYS ask the store attendants, especially if you’re buying from a place like REI or CampMor. I could not have gotten by without their help and they always pointed me to cheaper options – it’s not about sales, they truly understand the value for money concept. They all also all camp very frequently and have personally used most of the things they sell. I purchased all of my stuff from CampMor, in New Jersey. I can’t stress enough how much of an effortless system they have. Many thanks to Ariel and Ella for driving me there and getting me sorted out! Finally, if you can’t afford something, don’t get it. Look for it secondhand, or improvise. 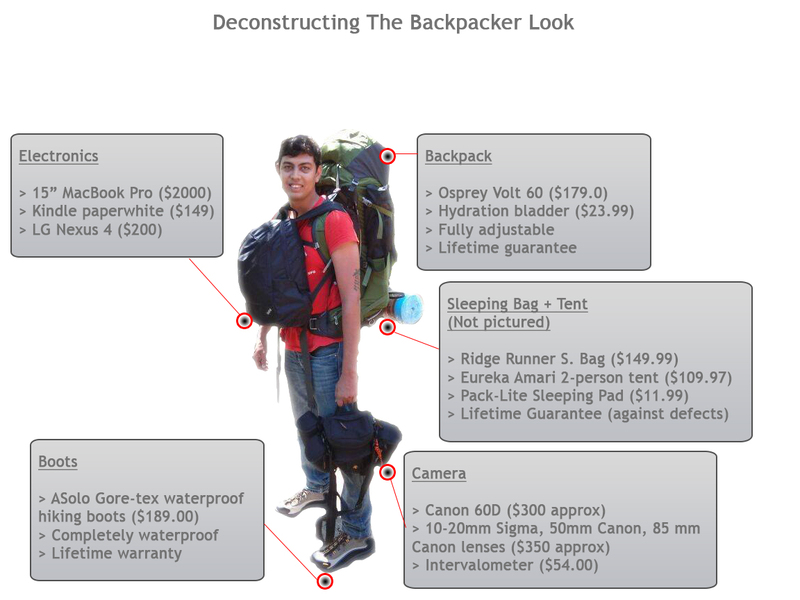 OK, enough of the tips, over to the deconstruction of my backpacker look! All the gear pictured here will be carried by me for at least a year, so weight and cost were the two variables I was considering the most. You bought all this stuff in Jersey? What did you carry from India? Just my clothes, in a duffel bag which I donated to Goodwill… That was a strange experience! Just my clothes, in a duffel bag which I donated to Goodwill! Goodwill? isnt that an asset as per “books of accounts” :), Seriously how could u donate when you are on shoe string budget! The duffel bag was useless once I got my backpack, what would I do with it? it’s just extra weight adding to the 7-odd pounds I’m already carrying! Goodwill makes sure the bag goes to someone who can use it – its an awesome organisation!